Taking stock of my collection – How Do You Figure? 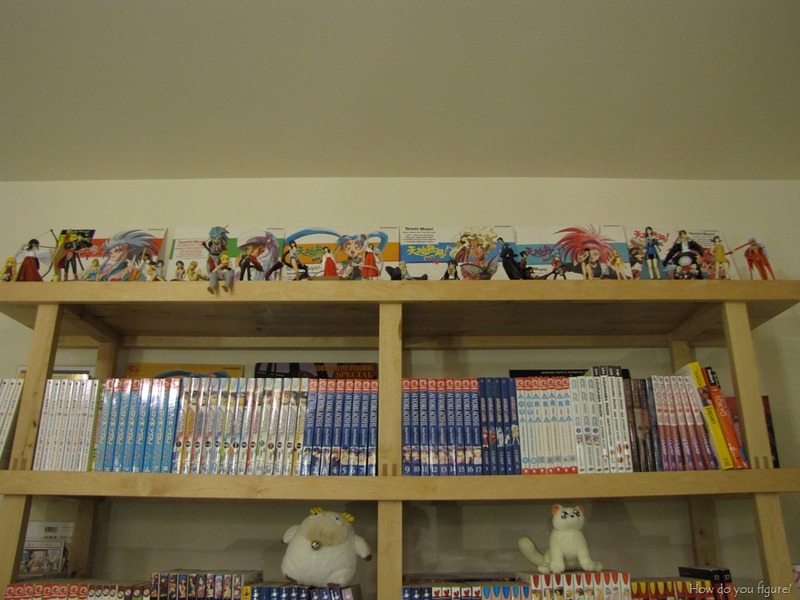 The most common arrangement I have are shelves that are dedicated to one particular character. This sort of happened by accident, as I started to acquire multiple figures of the same individual. 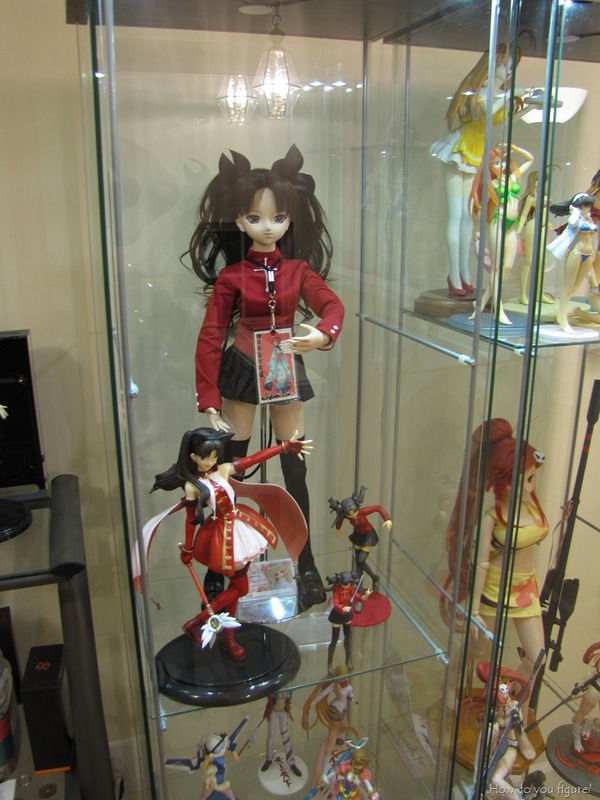 Rin was my first attempt at arranging by character, given that Dollfie Rin was the perfect centerpiece to surround the others with. 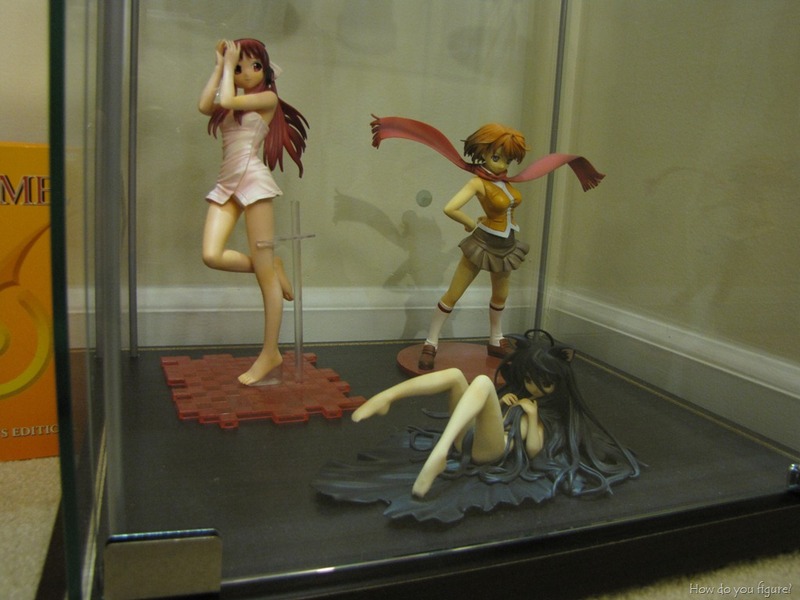 Of all the figures I own, Rin will probably always be my favorite. 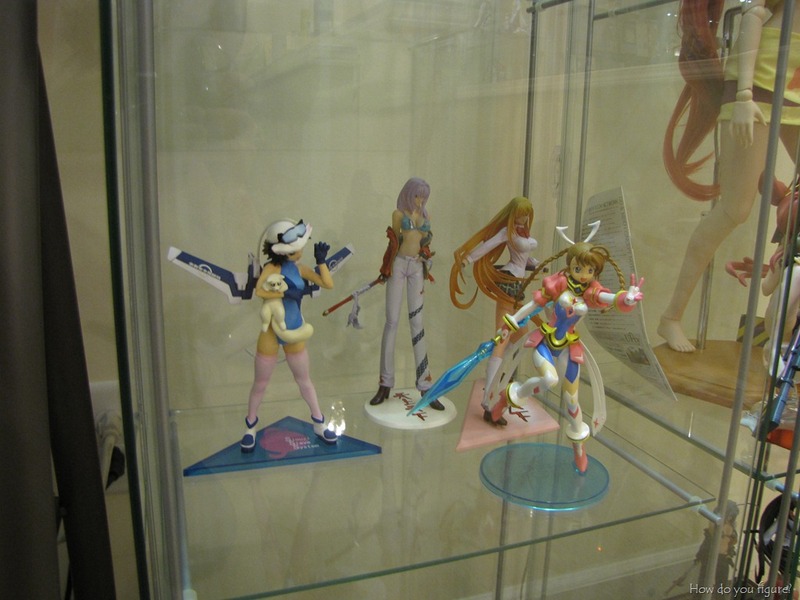 Following Rin, I decided that Belldandy needed her display. Most of the figures came to me within the past year as a result of various sales from HLJ. 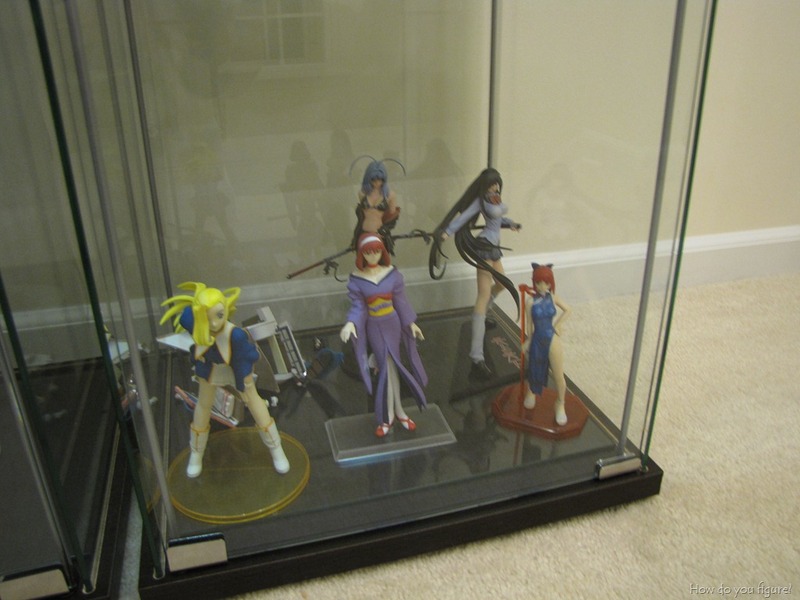 The oldest of the bunch is the one in the very middle, which was one of the first figures I’d ever bought. I guess you can say that Belldandy is where it all began. 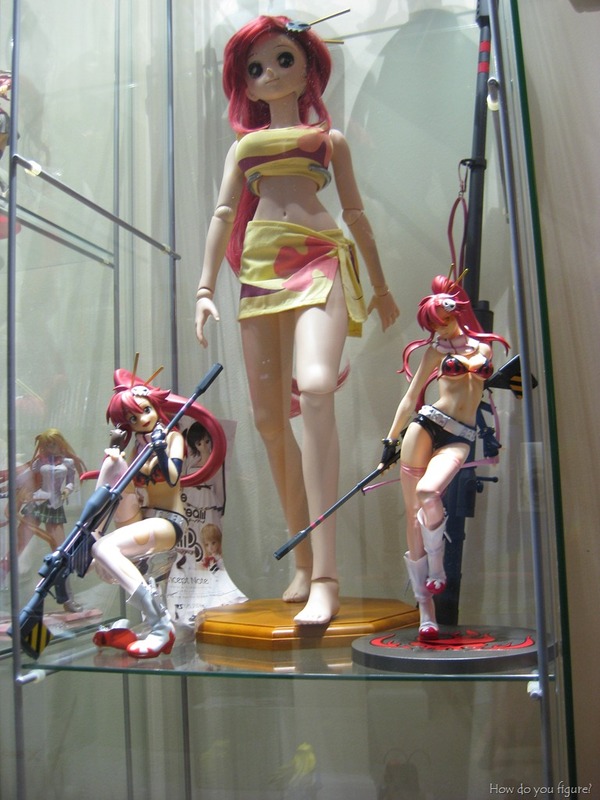 The Yoko shelf is another Dollfie-centered display. 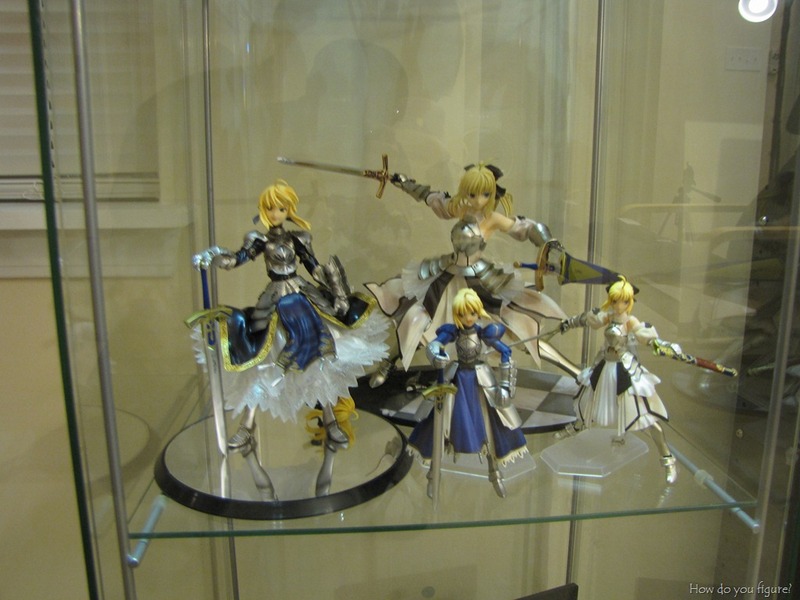 I’d actually planned this display in advance, starting with the Kotobukiya Yoko. 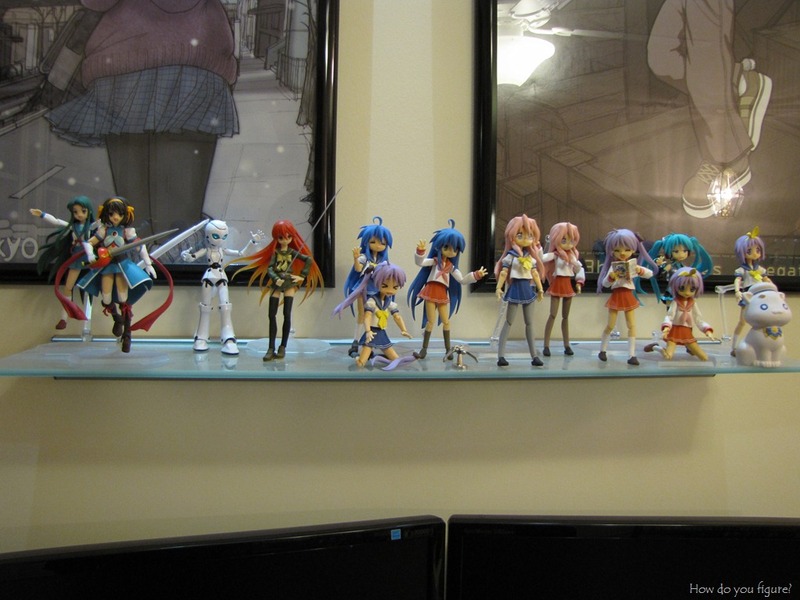 Since Real Image Yoko was on preorder, I figured I’d stage the shelf before she arrived. Dollfie Yoko was a bit of an unexpected addition. In addition to grouping by character, the next category I like to use is a “sort by series” approach. This generally means grouping all the figures from the same series and/or manufacturer. 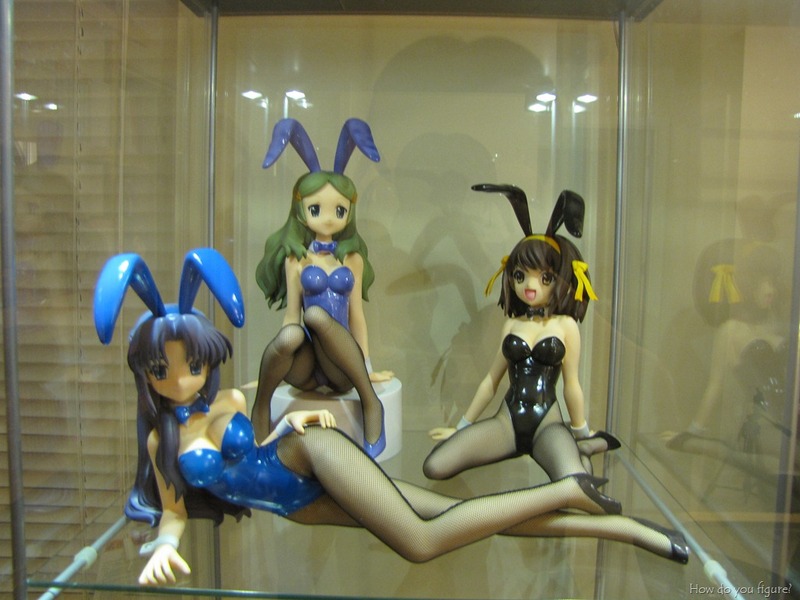 The 1/4 scale Haruhi bunnies from FREEing are a prime candidates for being arranged together. Due to their size, it’s hard to fit all of them on one shelf. 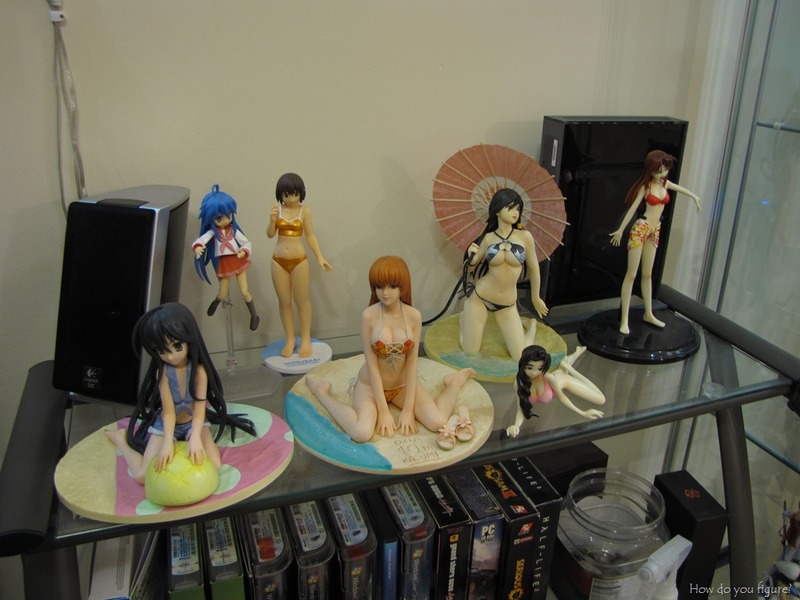 Mikuru has unfortunately been relegated to living on the shelf below with some other unrelated figures. 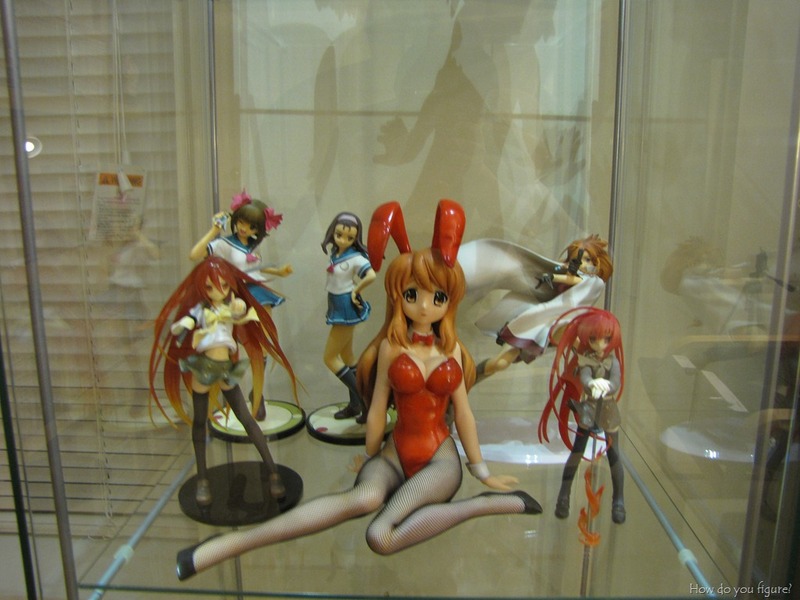 …and here’s Mikuru, sitting by herself away from the others. The expression on her face is pretty fitting for her circumstance… At least she gets to hang out with Shana (x2), Nadie, Haruka, and Iori. I don’t think they’d force her to do weird things like Haruhi would. …because she’s a duplicate and wouldn’t fit on the shelf with the rest of them. I guess you could say that Lucky Star is the dominant force here. The recent acquisition of the Summer Uniform set brings my figma count to 17. A couple of older figures, aside from Rose. I got her for a decent price from Play-Asia when they were clearing out stock. 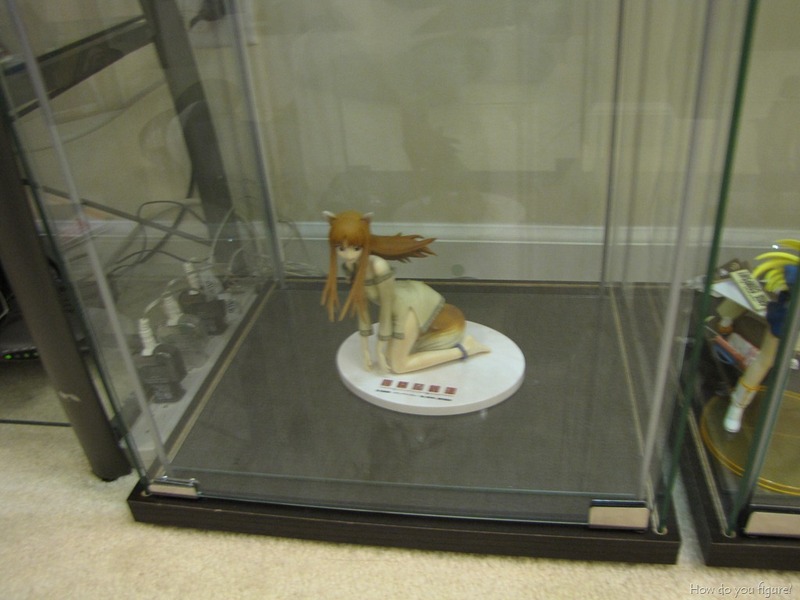 Poor Holo, she’s by herself… for now. A truly miscellaneous bunch. Most of these are probably too small to be in a display case (at least efficiently). If you’re wondering what those things are behind them, they’re laserdiscs of the original Tenchi Muyo! OVA. Shana really is everywhere, isn’t she? I also like the uniqueness of the Onda Aka figure in the back, I found her at a convention and decided to bring her home. There we have it, a complete tour of the figures currently in my collection. I may have a couple older figures in storage, but those would be far and few between. Dollfies will also eat up a significant amount of display real estate due to their height. I’ve had to remove one shelf out of each case where there’s a Dollfie, just so they can stand. The results are pretty satisfying, though! Pretty cool display! I really like it. Trust me, 2 dollfie dreams don’t take up that much space ^^. 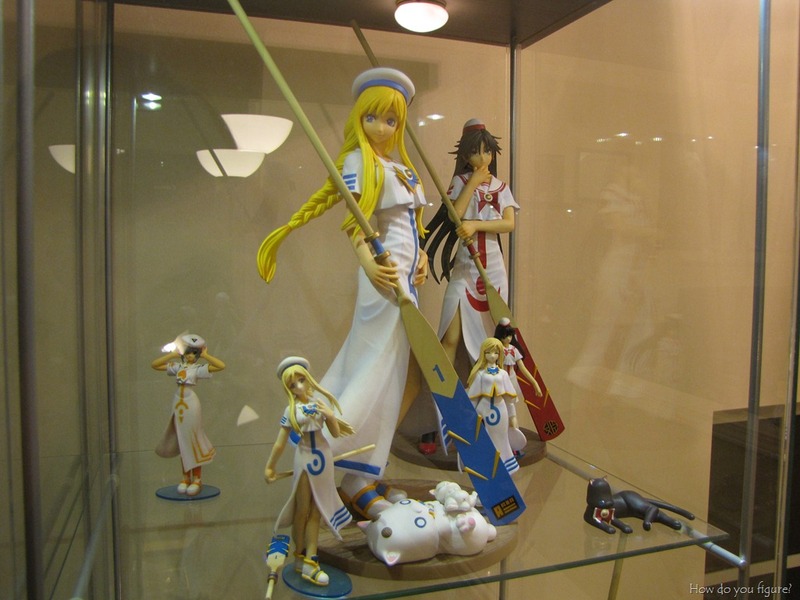 I notice u got both versions of the tenjou tenge girls, and the Maya in the last pic seems to be missing her antenas? hehe. Funny about Ropponmatsu that keeps falling XD. 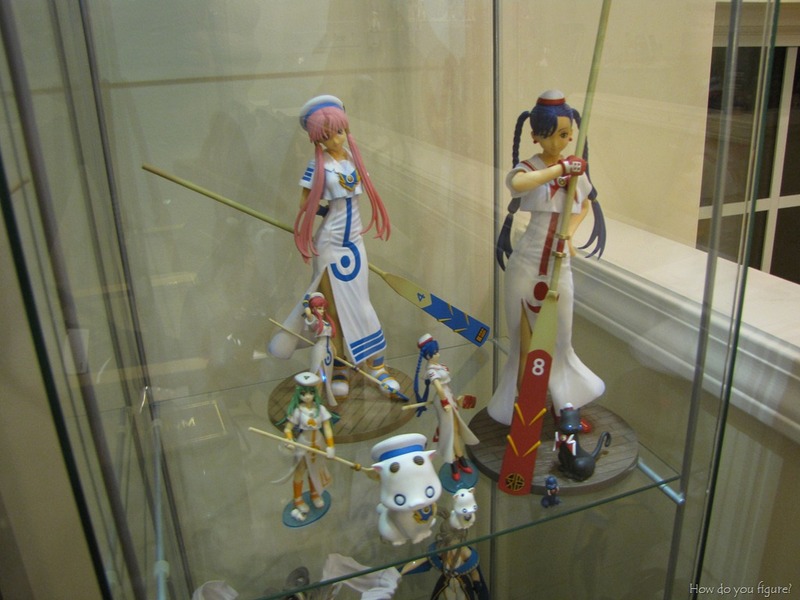 Yeah, before they found homes in display cases, I kept my figures on the bookshelf that’s now almost exclusively manga. When my cat was a lot younger, she decided to check out the shelf and knocked Maya over. Ever since then, she’ll go nowhere near the shelf since I gave her so much grief for taking out her antennae. Do like how you arranged them like that, grouping characters together by series, very neat and organized. Awesome stuff, Asian Ed! 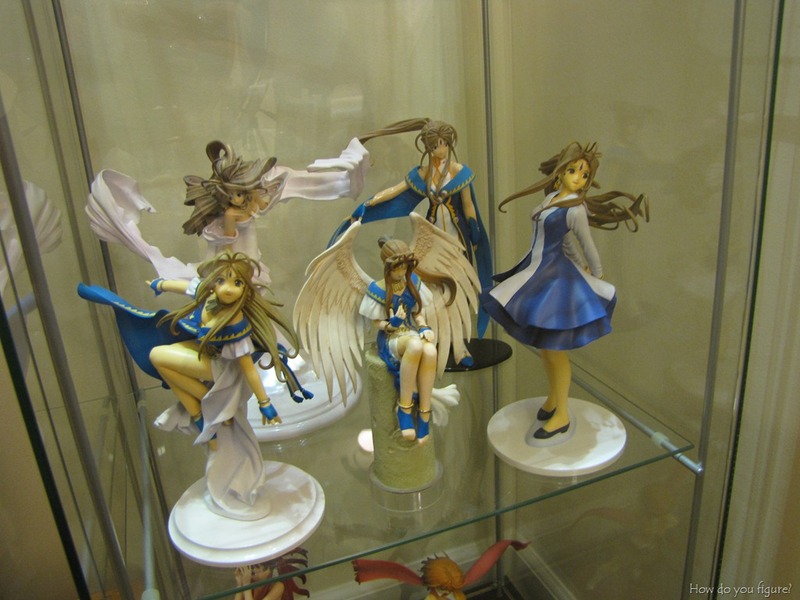 Pretty sweet that we share some similarities in figure tastes, like the Belldandy set! I did have the Battle outfit Belldandy before too! Very cool that you have the Narusegawa figure. That one is super rare now! Gonna add your blog post as a pingback!